Owned by a couple with Swedish-Spanish-NZ heritage (hence the name), I’ve been there twice for lunch in recent weeks and both times the food was very good. 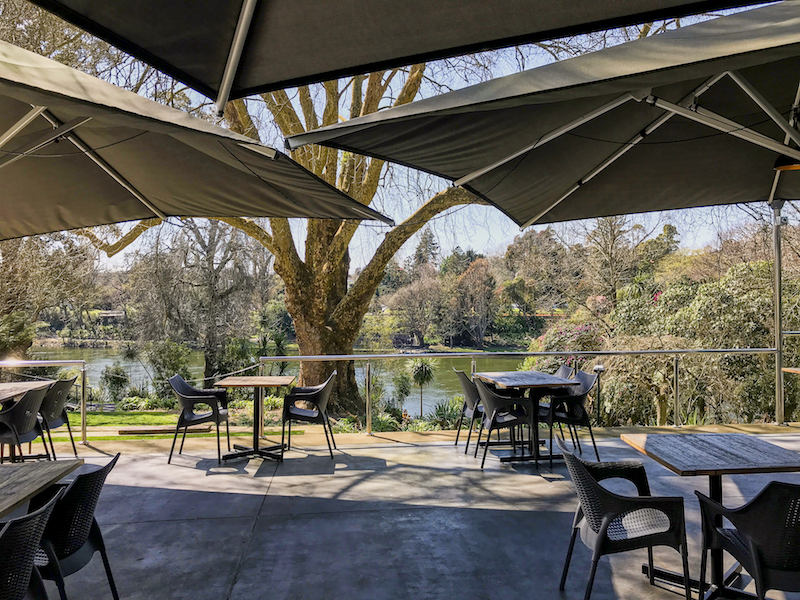 The restaurant is in the downstairs part of the ANZ Centre on Grantham Street right next door to the Waikato Museum and is a high ceilinged impressive glass and steel space with lovely views down to the Waikato River. It doesn’t have much street presence so it’s a little hard to find the entrance, but the inside is calm and inviting (and not cold as you might think given the voluminous interior), and there is a terrace overlooking the river that must be delightful when the weather is a bit warmer. The menu is divided up into three types of tapas: vegetable, meat/poultry and fish/seafood. 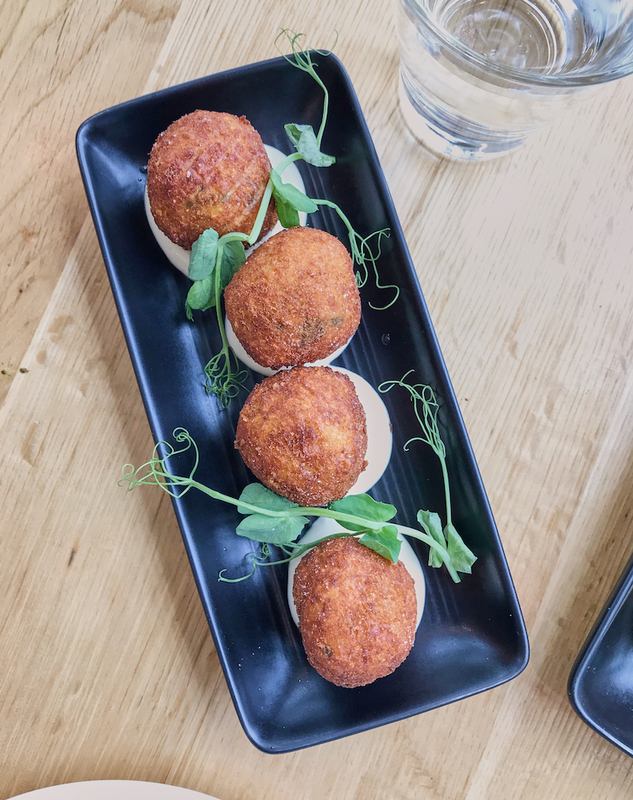 The prices range from $6.50-$28.50 per tapas; for these prices the food needs to be exceptional, and it didn’t disappoint. Portions sizes are good; one tapas for a single person lunch, 2-3 tapas for a couple, or more to share with friends. There also seemed to be a good wine and beer list (with some craft breweries reprented which is always good to see). Here’s some photos and comments about individual dishes that I tried: first up, black mushroom ravioli. 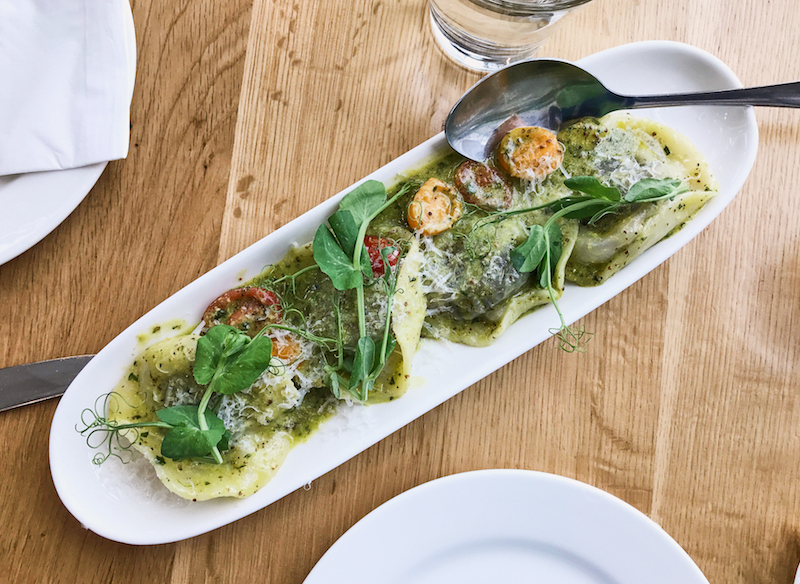 This was really good; four well-made and well-cooked ravioli with a delicious filling and presented nicely with little sweet roasted tomatoes and a delicate butter-mustard sauce that didn’t overwhelm. Third choice was fish tacos. 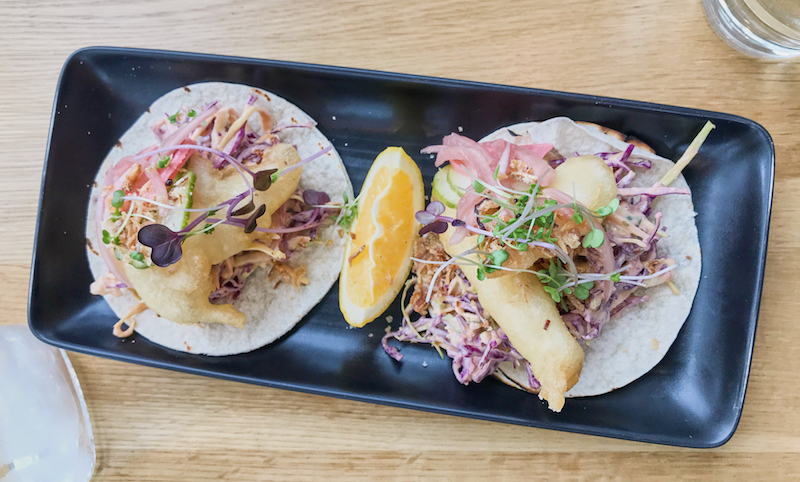 Presentation was not quite as lovely, but the little bite-sized tacos topped with an asiany coleslaw and crisp hot pieces of fish were full of flavour (and I enjoyed the chipotle mayo on the side). 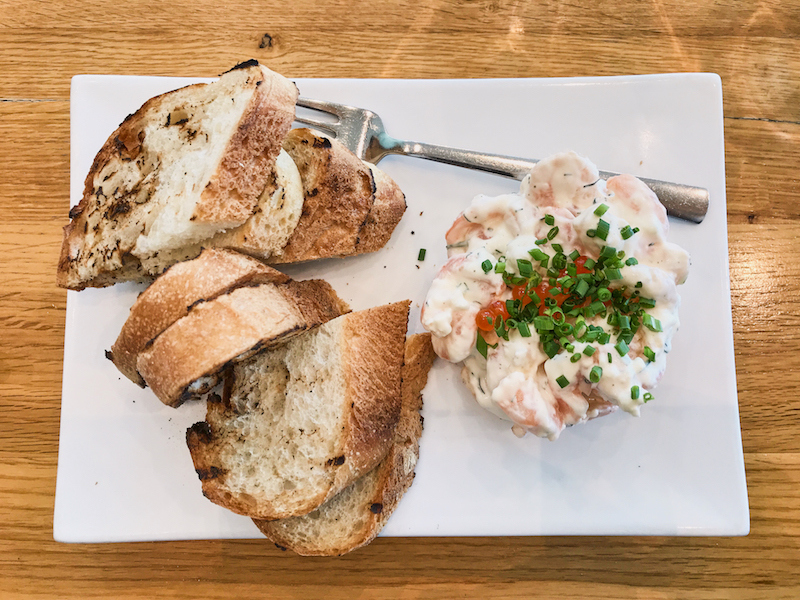 Next I tried the Skagen röra, a mix of prawns with dill, lemon and mayo, and a generous serving of grilled ciabatta on the side. 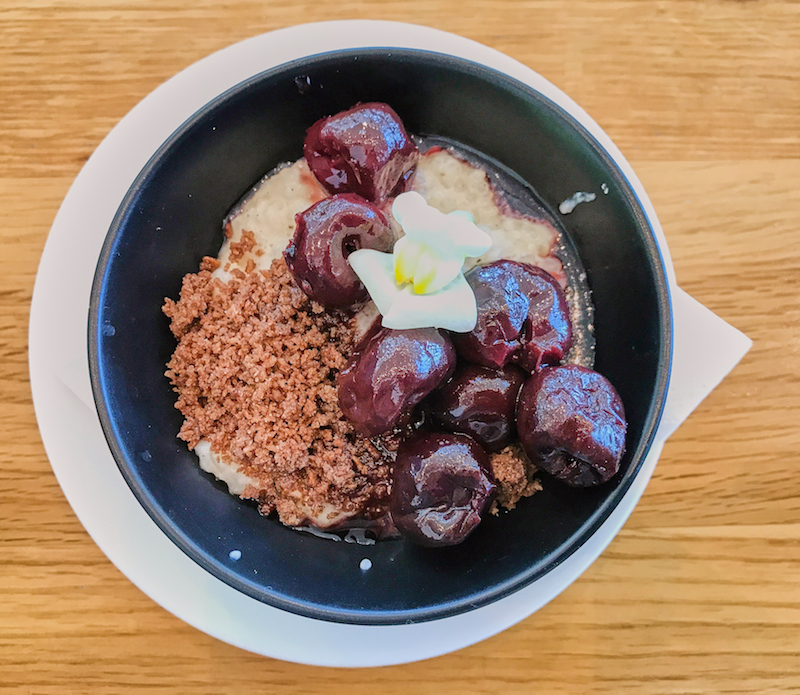 This dish had a lovely background flavour of cardamom to the rice pudding and the cherry compote was delicious – rich, intense and slightly tart. This is an independent review by the way – I am taking money from no-one so I can say what I really think. I just love eating good food, and I want to champion places that (in my humble opinion) are getting it right. So I recommend Gothenburg to you – it’s a fab location, the food was great and I would love to go in the evening with a big bunch of friends sometime.